There are so many productivity hacks and tricks out there, but it seems that very few of them are more powerful than the negative forces that keep us from doing all the things we want to get done. Deep down, most of us know that it’s really not a question of not physically having enough time, it’s a question of using our time well. In other words, overcoming our immense ability to procrastinate, become distracted and lose focus. Today I want to suggest a different approach – one that almost scares you into high productivity. It’s based on the principle of Accountability and can work for almost everyone. But the interesting thing is that when people take the quiz to determine their predominant tendency, by far the largest group is almost always Obligers. This means that most of us respond much better to external expectations than just to our own internal expectations. In other words, we’re more likely to do something if someone else is expecting us to do it. External expectations…. that’s “accountability” people. So, how can you get yourself to do what you want to do by using Accountability? Accountability systems don’t need to be complex (don’t worry, they’re nothing like accounting systems!). In fact, the simpler, the better. The idea is just to put some pressure on yourself to show others your work. A time and date when you know you’ll have to show or tell others what you’ve accomplished. Join or form a Mastermind Group with a few like-minded entrepreneurs. You can read about the benefits of mastermind groups here. Start an Advisory Board for your business. This could just be a couple of smart people that you admire – preferably from different specialist areas. Set up a monthly or bi-monthly meeting and make sure you report in on the key metrics of your business. Enter a Business Competition – especially one where you need to present in front of a group of other startups. Make some Customer Commitments. If you’re working on building a new product, or even building in some new features, have a few key clients and make a commitment to them about the timing of your release. Hire a Coach. Of course, you can also enroll the help of a professional business coach. Their expertise might be valuable, but a good proportion of the benefits most people realise through having a coach, is having someone hold them accountable. Once you’ve got a team in place, there are even more options for building in accountability systems. As well, there are more benefits as you can focus on building a culture of accountability into your business to improve your whole team’s productivity. Setting a Regular Meeting where you and your team members share your results for the period that’s just past, AND share what you’re aiming to have done or change for next time. Ideally, this will all include the key metrics of each team member’s position, as well as room for new initiatives. For example, a salesperson should report in on how many calls they made, their sales in progress, and the number and value of sales they closed. In addition, they might be working on a new sales script or something else to improve the way they work. While meetings are good, many of us end up trying to get rid of meetings as they often end up taking up too much time. Instead, you could start a system whereby your team creates a Written List of Accomplishments. At the end of each period (week, fortnight, or even day), you can get everyone to write a quick list of what they’ve achieved. When done well, an Accomplishments List is actually one of the most powerful management techniques as everyone can easily see what everyone else has achieved and this creates a touch of positive peer pressure. You could do this in a Google Doc, in a Slack channel, or by getting everyone to send a team email. Create a Show Your Work Meeting. Perhaps every Friday a different individual or team can present something they’ve been working on to the rest of the group. Knowing you’ve got a presentation coming up when the focus is on your work is something which can create a nice amount of positive pressure. One-on-One Meetings are also a great way to instil accountability in your team. During these meetings, you can really deep-dive into what’s important and what you hope to see for the next meeting. The downside of these meetings is that there is no peer accountability – it’s just you and your team member. Show the Numbers. A prominent display of your key metrics can go along way towards creating a fantastic accountability culture. Particularly if it’s clear who is responsible for which numbers. A large screen in your office or an end-of-week email report can both work well. Arrange to Meet. Want to exercise more? Create a standing arrangement where you meet a friend at the gym or park at the same time/s each week. Join a Club. Want to read more? Join a bookclub. Whatever it is that you’re looking to change, chances are you can find a club for that. Make a Pact. Want to get up early? Arrange to sms a friend at a certain hour each morning to let them know that you’re up and doing whatever it is you were planning to do. If either of you doesn’t reply (and maybe include a photo of them actually up), they have to buy coffee or lunch for the other at the end of the week. Make a Bet. Take a wager with someone that if you do (or don’t do) X, then there’ll be consequence Y. Commit to a Challenge. You’ve seen people do it – they commit (usually on social media) that they’re going to do push-ups every day or take the Whole30 Challenge, or something like that. Sign up for an Event. Along a similar vein, you can enter a 5k run, your first triathlon, or agree to play piano at your friend’s gig. These all give you something real (with a deadline) that you need to work towards. Plan a Reward. When I was going through a tough time in business, I set my eyes on a specific goal and told my husband I’d be buying myself a treat (a Vespa!) once I achieved it. It worked in getting me over hump (and I love the Vespa!). Whatever you do, don’t try to hold yourself accountable in too many areas at once. Just choose one or two and work on lifting your productivity in those areas before tackling more goals. Have you tried any of these tactics? How effective were they for you?? 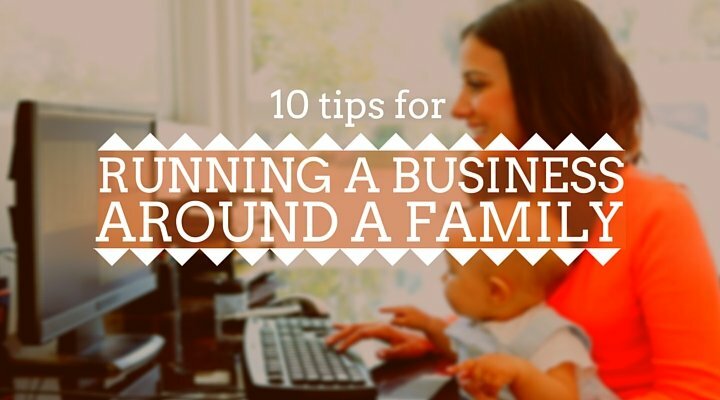 10 Tips for Running a Business around a Family 7 Things to Stop Doing in Business Minimising the Maintenance of Life Stop with the Fake Work! Great topic. Simple, practical and team based. How do we distinguish between Accountability and Responsibility? Your 4 categories of people, Upholders, Questioners, Rebels and Obligers are interesting. We all try to get our comfort in obliging others instructions, irrespective our internal doubts. Such people are liked but not much growth can be expected out of them. Here comes the role of Manager who need create more ‘upholder’ and also encourage ‘questioners’ and ‘rebel’ to at least fall in line with ‘obligers’ as a first step. But all these 4 characteristics largely also dependent on the category of the leader.